I’m writing this on the back of three weeks spent entirely on scaling our mod-friendly map system to work with the huge map sizes required. Frustration abounds! While I’m sure the community will appreciate the new modding possibilities (see more below), I’m starting to worry that we’re over-engineering the whole thing. To this end, we’re doing a Summer of Systems — in short, any low-level system that isn’t in by the end of August, we’ll just have to do without. A lot of what’s left is various 3D magic and similar nice-to-haves, so if we prioritize properly this is perfectly doable and the core of the game won’t be affected at all. Nice, eh? Since this is now in proper 3D, you can zoom and rotate the map as you like. It’s been a few months since the last diary entry, so frankly you’d be excused to think we’ve all gone AWOL or something. BUT! 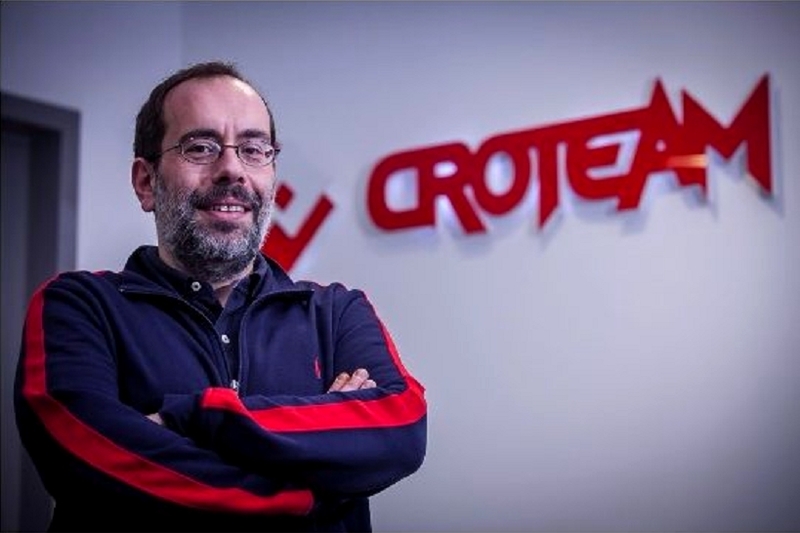 – we were in fact cheerfully working on various low level systems, and actually managed to get a lot of work done. The screenshots below show you approximately where we are with the rendering engine, that is, almost everything works now. I was happy enough to load the game onto a laptop and start showing it, somewhat gingerly, to other developers at the Reboot Develop conference last week in Dubrovnik. We got a lot of positive feedback, which may or may not be down to devs being a supportive bunch and all. It did feel good to have a working game again. Since we were showing the game on a proper gaming laptop (cheers to Admir from Croteam for providing it), this was a chance to compare laptop performance to our desktops (both the laptop and the desktops are running the game at about HD resolution). We got an offer we couldn’t refuse… to use this well known coastline for our mapping code tests. Work on the new game is continuing apace, and the time has come to confront our old nemesis – map making. If you’ve been following us long enough, you may remember my protestations about the amount of map making in the original Unity of Command as well. This time around, the mapping situation is both better and worse, depending what you’re looking at. So let me show you what’s new. The good thing about moving away from Russia (at least for the moment) is that there’s much less terrain to cover. No seriously, if you haven’t had to manually assign a terrain value to every hex from Lake Ladoga to the Caspian – you may have missed how ginormous Russia really is. If you have, go look at the map now, it’s huge. Yes, this is what you think it is. Find a few more details about the new look at bottom of this post. — Field Marshal Montgomery, one day prior to Battle of the Bulge. A full update on the campaign game will take more than one post, but you need to start somewhere, so here it goes: an introduction. Check out the pretty pic to your left (you’re welcome!) and relax – it won’t be too long. 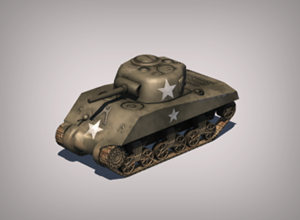 Developer Diary 7 – Move it, Soldier! Top to bottom: Cameron Highlanders and Indian troops march past the Great Pyramid (1940); Finnish soldiers on skis with reindeers, near Jäniskoski, Finland (1940); A squadron of Bren gun carriers, manned by the Australian Light Cavalry (1941); German horse-drawn cart stuck in rasputitsa near Kursk, Russia (1942). 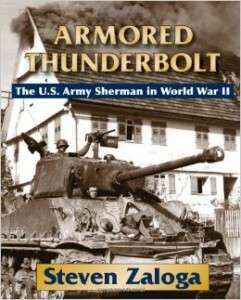 World War II was, more than any war since Napoleon, a war of movement. Whereas World War I was characterized by grinding offensives, stalemates, and endless artillery barrages, the sequel sent the infantry out of their trenches and swept them up in grand encirclements and breakthroughs. It is that spirit of maneuver that we strived to bring to Unity of Command, and that we now seek to refine further. So let’s talk about how units will actually move around the map. As before, there are two main types of movement – infantry and mobile. Infantry includes anything that moves around on legs, including cavalry. Mobile units are the various flavors of motorized, mechanized, and armored units. The difficulty of moving a unit through some terrain is expressed as movement points (MPs): it costs 1 MP for an infantry unit to move through a light forest, but 2 MP for an armored division to do the same. This way, armored units are best kept to the open terrain that is their forte, while the infantry slogs through the mud and brush. On top of this basic distinction, we now introduce cavalry, ski, mountain and perhaps other specialized movement types. A Soviet Cavalry Corps, well known from UoC, moves as infantry (good in rough terrain), while having more MPs per turn (bigger range). This is exactly as intended, however being classified as infantry also meant that it was able to enter mountain hexes which is not realistic. So, the new cavalry classification will simply mean: same as infantry, but mountains are forbidden. In the same vein, Finnish ski units are infantry whose movements are unaffected by snow. Speaking of snow, we are tweaking several different systems in order to improve winter scenarios. The snow movement penalty is changed so that each unit gets a 1 MP reduction (infantry) or 2 MP (mobile). For veterans, this comes out of their extended movement, while for others it comes from the regular part (clever, eh?). The net result is that, while everyone’s movement is slightly impeded, veteran units are noticeably better at maneuvering in the snow. This way, the game will organically model things like the Soviet ability to conduct deep operations, which improved markedly over the course of the war. Developer Diary 6 – Fight Fight Fight Fight!!! Completely unrelated to the rest of this post, I’m pleased to inform you that production has finally started on the “shiny pics” side of things. I can’t show you those just yet, but here’s a planning sketch for the “UoC Test Range” instead. Cheers! 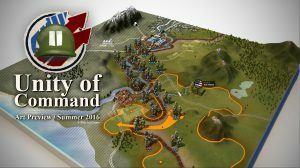 Unity of Command is a game that emphasizes maneuver, supply, and logistics over brutal grinding, but even the most daring dash and encirclement will still involve a fair amount of fighting. In the new game, we are not changing the combat system in a big way, more like ironing a few wrinkles, plus some changes to bring it into line with the rest of the new systems. From a designer’s point of view, combat in the game actually unfolds on two distinct levels. The first level, which is the main topic of this post, is the immediate combat between two units on the map. We try to make this “single combat” as realistic as possible, but there are limits. The most obvious ones are the one-unit-per-hex representation (no stacking) and the IGOUGO system (each player gets to move all his units during a turn). I don’t know what the hell this ‘logistics’ is that Marshall is always talking about, but I want some of it. 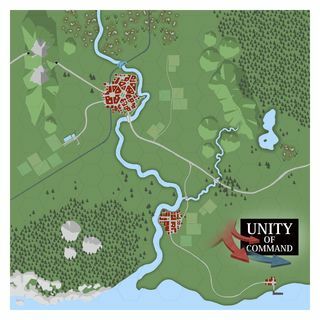 One of our goals in the design of the original Unity of Command was to make supply and logistics as important and easy to grasp as front lines and battle tactics. 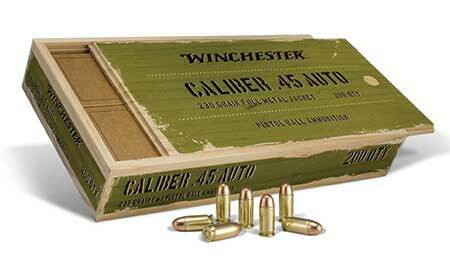 We want to keep supply front and center in the next game, but there’s some room to improve the system to make it better reflect historical realities. Development Diary 4 – Report to HQ, ASAP! We are introducing Headquarters into the new game (please clap!). The HQs bring together functions that were previously abstracted like unit reorganization and bridging, plus many others that are completely new to the system. With very few exceptions, HQs represent historical Allied or German Armies, or Soviet Fronts. The new abilities they bring to the game are in Operations, Intel and Logistics, which is what you’d expect from that command level. The HQs may even have named, historical commanders like Rommel and Patton but don’t tell that to anyone just yet. 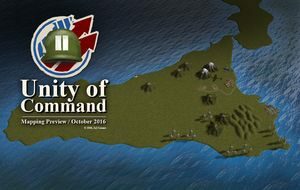 An HQ commands its subordinate units within a command radius (depending on the scenario, there can be more than one friendly HQ present). This means you will want to keep your HQs reasonably close to the front line while trying not to risk them being attacked – HQs should defend themselves only as a desperate last measure. Headquarters are able deploy special abilities such as Emergency Supply (this simulates using their transport assets to supply a unit – broadly how Air Supply worked in the original). Deploying these abilities costs Command Points (CPs), which are available in limited supply for each turn. In general, command points abstract things like staff work and shared HQ assets, and force the player to prioritize – a single HQ cannot do everything on every turn. Development Diary 3 – Are You Experienced? I’m restarting the dev diary series. Note that the game is a work in progress. 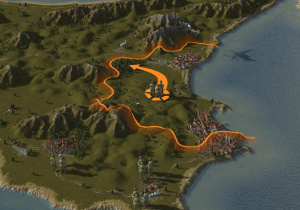 This dev diary reflects current thinking and any features may be subject to change. Not every system is fleshed out yet – please forgive any hand-waving. 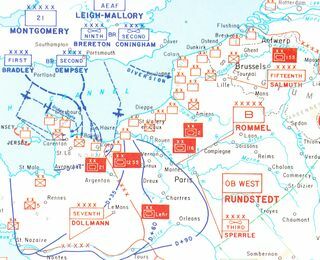 In the original Unity of Command, units were expendable resources and pieces. You used up your men and units to reach your objectives on time and, even in Campaign games, losses didn’t matter. You’d always start the next scenario with the same (historical) units. It didn’t matter if you got Großdeutschland crippled in one scenario, it would be right back in your OOB for the next offensive. In the new game, we want losses to matter in the course of both a scenario and a campaign. Your overall force strength will carry over between scenarios (more about the specifics of this in future posts), but so will the experience, which becomes an important element of the campaign game. To that end, we’ve revamped the unit experience system to enhance some old mechanics and add a few new twists.